Salman Khan Comes To Vivek Oberoi's Rescue! Home BOLLYWOOD Salman Khan Comes To Vivek Oberoi’s Rescue! 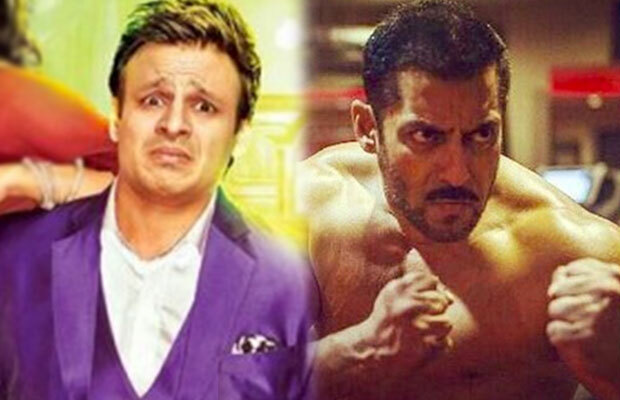 Salman Khan Comes To Vivek Oberoi’s Rescue! [tps_footer]The trio- Riteish Deshmukh, Vivek Oberoi, and Aftab Shivdasani have returned back with the third installment of this wicked franchise, ‘Great Grand Masti’. Unfortunately, a couple of weeks before the release, the film was leaked all over on the various downloading platforms. As the film was leaked online, the makers of the film decided to reschedule the release of Great Grand Masti. Yes, the film, which was going to be released on July 22, has been preponed to July 15. Getting July 15 release date was not at all easy for the makers of the film as Salman Khan’s Sultan is currently ruling at the Box Office and in theatres too. Recently, Karan Johar, Ekta Kapoor and some other producers of Great Grand Masti conducted a meeting at Aamir Khan’s residence to get some solution, as the film was leaked online. Reportedly, after much of discussion, they decided to approach YRF honcho Aditya Chopra, who agreed to it. According to reports, as Salman Khan’s Sultan is riding high at the Box Office, it was difficult to give screens to Great Grand Masti in a short span of time but after B-town bigwigs talked to Aditya Chopra over the phone, it all happened to be as they wanted. It’s surprising to know that Aditya Chopra who does not bend his contract to accommodate some other release, has agreed to share some screens for Great Grand Masti with Salman Khan’s Sultan.